Was An Everlasting Covenant Made With Abraham By God? Whether God made an everlasting covenant with Abraham may seem like ancient history which is not important today. Nothing could be further from the truth. The answer to that question can change a Christian's focus on the world right now. An entire area of theology, called Dispensationalism, centers around the modern Jews and Israel. Even current political policy in the Middle East is influenced by this idea. This seems pretty plain and straight forward. God gave what is now known as the land of Israel to Abraham and his descendants in an everlasting covenant as an everlasting possession. What more is there to say? 1. It is easy to approach the Scripture with preconceived ideas. We all do this to some degree, but we must keep an open mind to search for what the Scripture is saying even if it contradicts our ideas. The danger is that our commitment to our own ideas of what the Scripture says overrides what the Scripture is really saying and we only see what we want to or expect to see. We must have humble and teachable spirits. 2. We can often assume a Western or modern understanding of the Scripture. In other words, misunderstandings can occur because we are not striving to look at it from the perspective from which it was written. We need to try to understand the Scripture from the point-of-view of the people who first heard/read it. In this case we need to ask, how did Abraham understand the everlasting covenant? 3. We need to see the place of individual passages in the Grand Plan of God. Sometimes we are so busy studying a "tree" that we forget the forest in which it grows. With this in mind let us proceed. There is no doubt that God made an everlasting covenant with Abraham and that what is now called the land of Israel was a central part of that everlasting covenant. There are two vital questions which confront us in relation to the above fact. Was the everlasting covenant unconditional, as many Christians today claim? And, what does God mean by "everlasting?" Was The Abrahamic Everlasting Covenant Unconditional? Let's begin looking at what the Bible teaches about the promises of God in general, and then we will look at the Abrahamic Everlasting Covenant specifically. Here God declares a general principle about His Word. If God proclaims judgment and the nation/person being judged repents, then God may not bring the promised judgment. On the other hand, if God promises blessing and the nation/person receiving the blessing chooses to rebel then the blessing may be withheld. This explains how God could proclaim judgment on Nineveh through Jonah [Jonah 3:4] and then upon their repentance not bring the judgment. This was a well-known principle as Jonah himself testifies when he said that he knew God would be merciful [Jonah 4:1-2]. The general principle we discover is that all the promises of God are conditional on obedience. The second general principle is that God requires faith in order to receive what He has promised. We need to believe in the promises in order to inherit them. So we see that a minimum of two conditions are required to receive the promises of God: faith and obedience. Without these the promises of God are void. But, some will say, the covenant of Abraham was an exception. God gave it to Abraham unconditionally as an everlasting covenant. Anyone who makes such a statement has the burden of proof laid on them. In other words, it is their responsibility to prove, from Scripture, that God set aside His two foundational conditions. If they cannot do so then we must assume the conditions apply as a normal method of God's dealings with men. Fortunately, the Bible itself removes all doubt. This Scripture follows immediately after the promise of the land as an everlasting possession. If fact, it is the same conversation! God gave Abraham conditions directly! There was no way Abraham could misunderstand the link between the fulfillment of the promise and the keeping of the conditions. The specific condition that God gave Abraham that is recorded at this time was circumcision. If Abraham OR his descendants failed to keep this condition they would forfeit the promise of the covenant. Notice that God not only made this everlasting covenant conditional, but He specifically said it was possible to break this covenant. How can this then be an unconditional covenant? To answer that question we need to look what God means by a term, not what we assume it means. When we automatically define "everlasting covenant" with our preconceived ideas, we miss what is being said. In fact, if we stop to think about it we realize that no orthodox Christian really believes that the Jews are going to live in the land of Israel forever. One of the foundational beliefs of the Christian is the Second Coming of Christ. At that time the present earth will be dramatically changed. Nothing on this physical earth can be everlasting. Only that which of the Spirit is truly eternal. 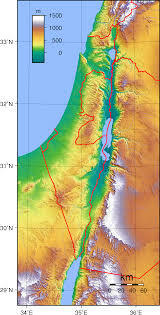 The physical land of Israel was a central part of the Abrahamic Covenant and could be enjoyed by the descendants of Abraham as long as they kept the everlasting covenant. However, like many things in the Old Testament, the land of Israel was a picture of what God was going to do in the New Covenant. The land of Israel, flowing with milk and honey, is a picture or type of what God has promised the Christian in Christ Jesus. It is a spiritual land. It is not the picture which is eternal, but the real thing which was being illustrated with the picture which is eternal. What we have in Christ can never be lost even when we pass through death or the Lord returns. People get confused and go into error when they mixed the type with the anti-type [fulfillment]. We may wonder if God was deceitful with Abraham by promising him the land in an everlasting covenant when He was using the land as a type of the spiritual possession of Christians in the final covenant, the New Covenant. Abraham knew the ultimate promise of the everlasting covenant was spiritual, the city would be build by God. He understood the physical land was temporary and conditional, but that it pictured the far greater work that God would one day do. He, as did all the Old Testament true believers, looked forward to the time of the New Covenant. We, as Christians, have the fulfillment of what Abraham longed for! Why do so many Christians want to go back to the old? If crying is possible in heaven, Abraham is probably weeping at those who abandon the true riches of God for carnal and fleshly interpretations of Scripture.